Enjoy the taste of classic grape hard candy with Grape Nic Salt from Pop Clouds. This nic salt juice is sweet and juicy, and Pop Clouds nicotine salt formulation adds an extra level of satisfaction to every hit. 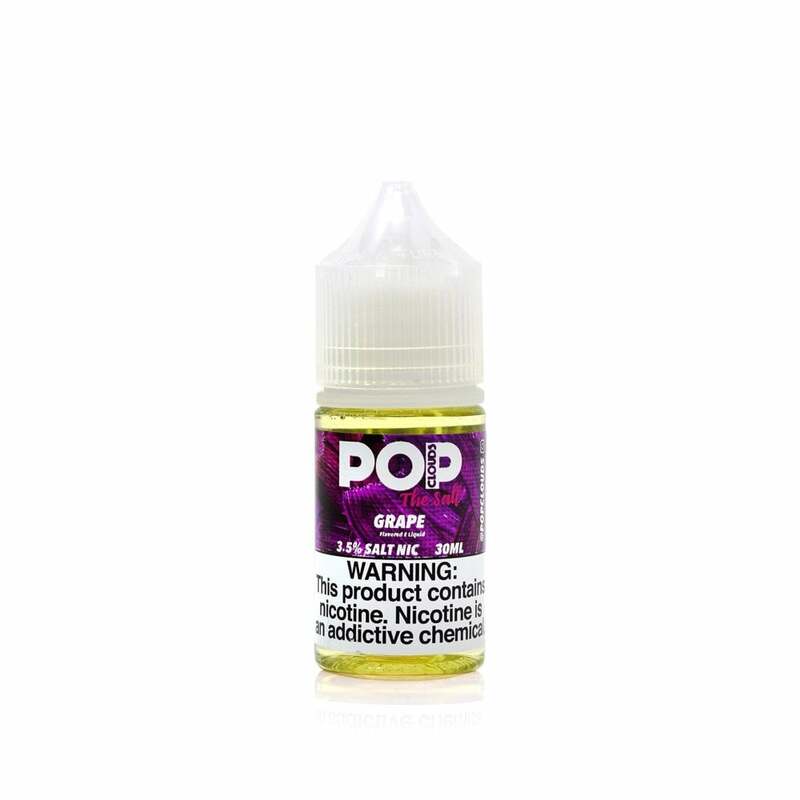 Pop Clouds Grape nic salt is available in 50mg (5.0% nicotine) and 35mg (3.5% nicotine). Great flavor. Just like grape candy or bubblegum. This flavor is awesome, makes your mouth water! This juice is great, was just what I was looking for. Tastes like a grape jolly rancher. I mix it with Halo subzero for a minty grape and its awesome. Definitely recommend it.